Marine Hotel in Ryde has an outside area. The pub has free WiFi, it has a big screen. Marine Hotel shows football on TV. The pub has terrestrial TV. 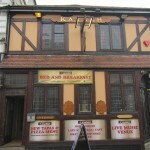 Kasbah in Ryde has accommodation. The pub is a family friendly pub, it serves real ale. Blacksheep in Ryde shows football on TV. The pub has terrestrial TV. If you want a fun-packed, good value day out for all your family or a big night out with your friends in Ryde, you’ve come to the right place! Ryde Castle Hotel in Ryde has a beer garden. The pub has a car park, it serves food. 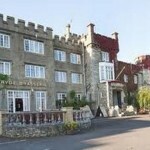 Ryde Castle Hotel serves real ale. The pub has free WiFi, it is a member of Cask Marque. Fowlers in Ryde has disabled facilities. The pub is a family friendly pub, it serves food. Fowlers serves real ale. The pub has free WiFi, it is a member of Cask Marque. Lakeside Park Hotel in Wootton Bridge has accommodation. The pub has a beer garden, it has an outside area. Lakeside Park Hotel has live music events. The pub has a big screen, it shows football on TV. Lakeside Park Hotel has Sky Sports. The pub has terrestrial TV. 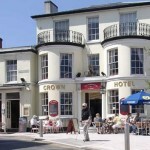 Crown Hotel in Ryde has a car park. The pub serves food, it serves real ale. Crown Hotel shows football on TV. The pub has Sky Sports, it has terrestrial TV. 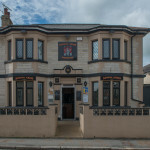 Crown Hotel is a member of Cask Marque. Solent Inn in Ryde serves food.